The federal program designed to attract foreigners to New Brunswick has been extended for two more years in hopes of highlighting the connection between immigration and economic growth. 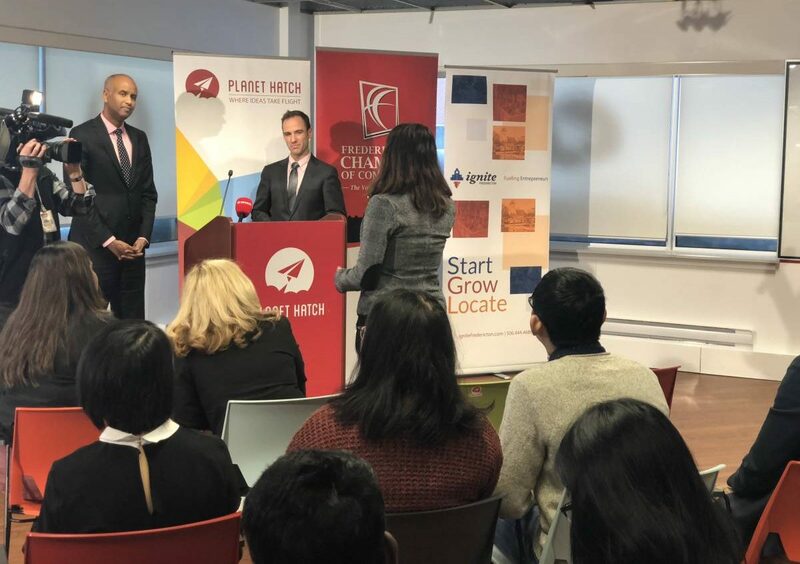 Federal Immigration Minister Ahmed Hussen announced the Atlantic Immigration Pilot Program will run until 2021. Federal Immigration Minister Ahmed Hussen and Mayor Mike O’Brien listen to Matt DeCourcey’s speech on immigration. “The government of prime minister Justin Trudeau is working very closely with all the provinces including the province of new Brunswick to work together to deliver on what the employers have been asking us to do which is to address the labor market shortage and skills shortages through immigration,” said Hussen. The pilot project is in its third year and is helping to bring skilled, educated and experienced newcomers to fill the large job gap. “There are literally thousands of unfilled jobs without the skills and the labour to fill those jobs. What is evident is that we need immigrants to come and help us build the economy that we want here in this province,” said Fredericton MP Matt DeCourcey. According to DeCourcey, as of Feb. 25, there were 1,896 Atlantic Immigration Pilot or AIP designated employers in the Atlantic region. AIP designated employers made over 3,729 job offers to skilled foreign nationals or international graduates, and as a result there are already 2,535 approved permanent residents destined for or already in Atlantic Canada. Matt DeCourcey and the Minister take questions from the audience. Immigration, Refugees and Citizenship Canada (IRCC) has received 2,014 work permit applications and has approved 1,539 work permit applications. So far, 4,769 candidates and their families have applied for permanent residence status and IRCC has already approved 2,535. DeCourcey says this has translated into 1,747 workers and their families already in Atlantic Canada to fill job vacancies and to help grow the economy. The Fredericton Chamber of Commerce and Ignite Fredericton invited a group of business and community leaders to join Hussen and DeCourcey to discuss how Canadians can work together to reinforce a positive national dialogue around immigration. “We need to highlight the priority that our community must place on immigration. We need to grow our population. The best way to do that is really through bringing in new people that want to come and settle here, start businesses, raise families — that is the way that we are going to grow our community and our economy,” said Krista Ross, the president of the Fredericton Chamber of Commerce. As the Atlantic Growth Strategy continues, the federal government is offering permanent resident status to applicants that meet the requirements of the Atlantic Immigration Pilot Program.